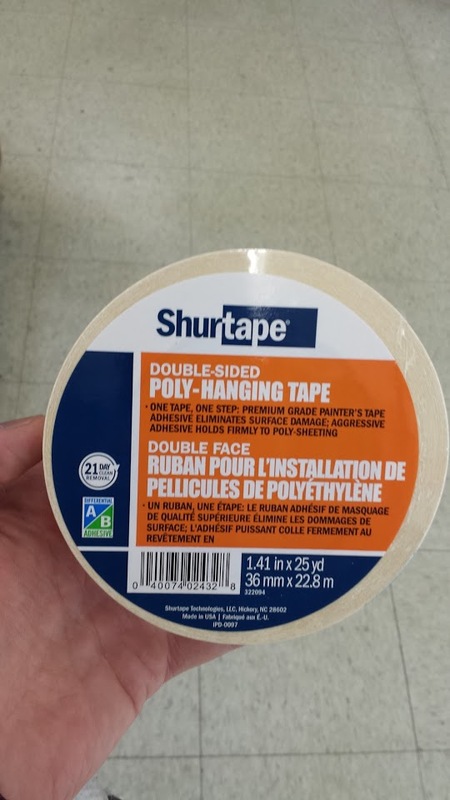 Has anyone tried this double sided tape for masking? Just appeared on the shelves at the local Sherm. Seen it though. Was thinking if you were doing a ceiling only it would be nice for hanging plastic. Convenience item though really. Another product I'll probably never use. They just got rid of the microfiber rags I liked along with the Kovrd bags. The trend seems to be replacing useful sundries with more of the same.